An Australian bee pathologist is leading efforts to develop a strain of honeybee that is immune to a deadly parasite wiping out bee colonies around the world. CSIRO Medal winner Dr Denis Anderson has set up Bees Downunder, a foundation that raises awareness of threats to honeybees and funds research into their protection. He hopes to build a breed of bee invisible to the Varroa destructor mite, a suspect in the collapse of honeybee numbers worldwide. The parasite – female, blind, just 5mm in length – stows away in beehives awaiting a chemical signal from the colony’s brood cells, where young bees gestate. Once it detects the signal, the parasite drops into the brood cells, attaches itself to the developing bee and lays eggs. When the baby bee leaves the brood cell to join the adult colony, the parasite and its offspring follow, infecting the entire hive. Between 1988 and 1993, the Varroa destructor wiped out half of the hived colonies in the US. Australia has the only significant bee population in the world still free of the mite. 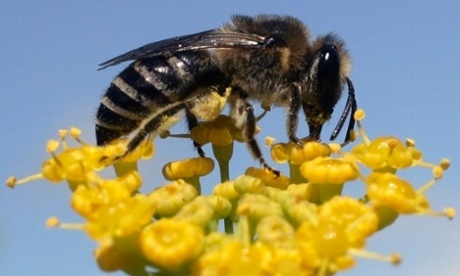 Even New Zealand’s bees fell victim in 2000. For millions of years the Varroa co-existed peacefully with another species of honeybee found in Asia. But as western civilisation made its way across Asia, swarms of European honeybees, lacking their Asian cousins’ evolutionary armour, followed. At first they were safe because their chemical signal was unrecognisable to the mite. Then, by sheer accident, Anderson says, a single Varroa mite from around the North Korea-China border jumped from an Asian to a European honeybee. Anderson wants to help researchers go back to that crucial moment, to answer the question: what was the signal she recognised? “If we can find that signal, and alter it, the bee then becomes invisible to the mite,” he says. A West Australian fashion label, Honeybees, is supporting the cause, donating a portion of profits from sales of its eco-friendly sandals to Bees Downunder. Anderson says most industry funding is directed towards solving existing problems in bee populations, with only “a pittance” given towards future-proofing the bee industry against parasites such as the Varroa. Meanwhile, the government’s focus is on beefing up border protection. Strategically placed “bait hives” dot the coastline and surround Australian wharves and airports, and are checked regularly by beekeepers for any sign of the dreaded parasite. Swarms of foreign bees are regularly intercepted stowing away on ships and planes. Rogue beekeepers have been detained at customs as they try to smuggle in queen bees inside packaging such as pen lids. Anderson warns “it’s just a matter of time” before the Varroa destructor makes it to Australia.